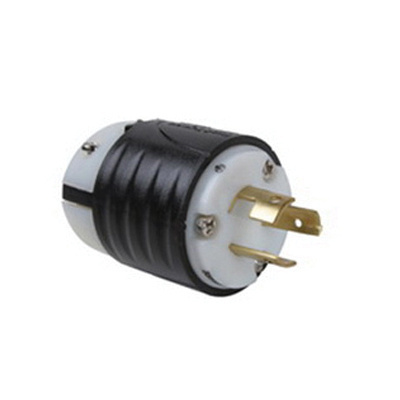 Pass & Seymour Industrial grade, polarized straight locking plug has double dovetail design that provides superior protection against cord pull out forces. The scallop shell design provides non-slip gripping surface for insertion and withdrawal. This locking plug consists of quick-thread assembly, cord grip screws, brass alloy plug blades and connector contacts to resist heat rise and provide excellent conductivity. Locking plug meets RoHS, CSA, Fed Spec, UL 498, FSUL WC596 standards.